Single Touch Payroll is a government initiative to streamline business reporting obligations, which is due to become compulsory from 1 July 2018. 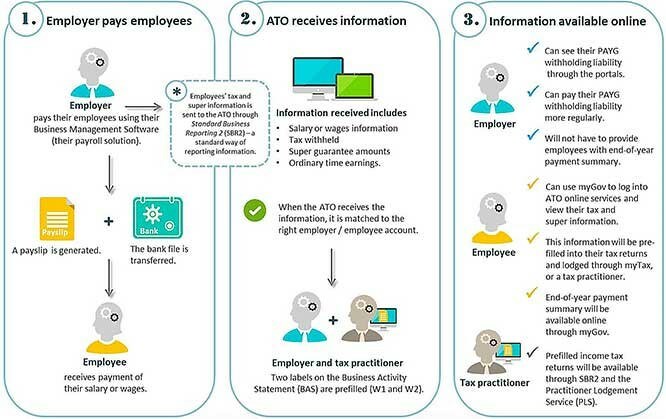 When a business pays its employees, the payroll information will be sent to the ATO via the business's payroll software. If you report an employee's details through STP, you will not have to provide that employee with a payment summary at the end of financial year. You also won't be required to provide the ATO with a payment summary annual report for those employee's details. Right now, payroll software and service providers are updating their products. A software product catalogue is available on the Australian Business Software Industry Association (ABSIA) website (search for "absia product catalogue"). The catalogue will be updated as payroll solutions are STP-enabled. It's okay if you make a mistake. When you start reporting through your STP-enabled payroll solution, you will be able to correct any errors you make in a later STP report. Please contact us for clarification or further advice.